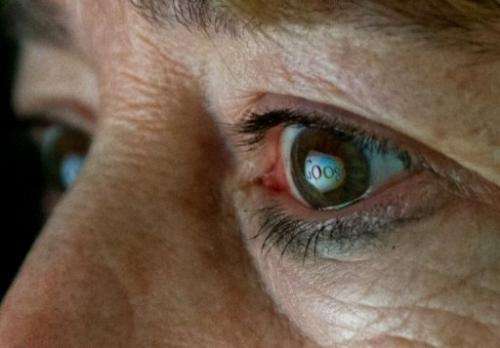 This June 25, 2013 photo illustration shows the Internet search giant Google logo reflected in a woman's eye. Google expanded its Transparency Report on Tuesday to include maps of spots around the world where hackers are laying traps or baiting Internet users. Google expanded its Transparency Report on Tuesday to include maps of spots around the world where hackers are laying traps or baiting Internet users. "Two of the biggest threats online are malicious software that can take control of your computer, and phishing scams that try to trick you into sharing passwords or other private information," Google engineer Lucas Ballard said in a blog post. "So today we're launching a new section on our Transparency Report that will shed more light on the sources of malware and phishing attacks." "We're currently flagging up to 10,000 sites a day, and because we share this technology with other browsers there are about one billion users we can help keep safe," Ballard said. The new section added at google.com/transparencyreport included a map that showed that "malware" hotspots include India and Central Europe. Google's Transparency Report also provides information about government requests around the world for information from the California-based Internet giant and demands for removal of content from online properties.